My first encounter with the queer feminist art platform FRANK (Sille Storihle and Liv Bugge) was in 2013, when the Norwegian magazine Billedkunst invited us to be in conversation about queer art and theory in relation to my recently finished PhD. 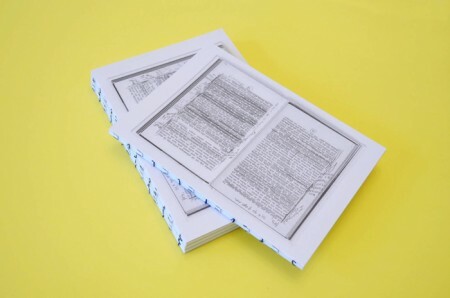 While snippets of our exchange got published under the title “Hjernevask og stammespråk” in Billedkunst, No. 3, 2013, this was really only the starting point of a friendship and a series of long conversations about the conditions for queer feminist thinking, practice, and doing. In December 2013, I participated in FRANK’s Salon #10 at Kunstnernes Hus with a lecture about Renate Lorenz and Pauline Bourdy’s new work To Valerie Solanas and Marilyn Monroe in Recognition of their Desperation (2013). This Salon was also the official book launch for FRANK’s third artist book, Voluspå, that includes a series of art works and conversations about queer feminist art and politics in Norway today, including an exchange between FRANK and I on queerness, discourse, and third wave feminisms. 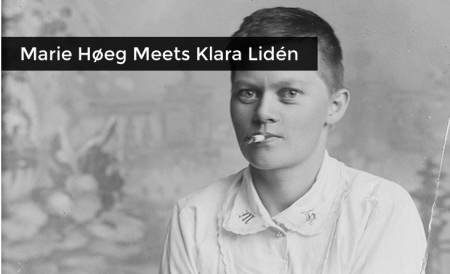 On February 21, FRANK will open the exhibition Marie Høeg Meets Klara Lidén at the ONE National Gay & Lesbian Archives in Los Angeles, and hold the US book release for Voluspå. I am fortunate to have been invited to Los Angeles by FRANK to give a lecture at the ONE Archives for the opening of the show, and I will give the talk “Breaking the Waves: Tuning in to Queer History with FRANK’s Voluspå” at 7 pm on February 21 at ONE. I have also been fortunate to receive a residency at the guesthaus residency during my stay in Los Angeles, giving me the perfect setting for this research trip that will include explorations of the ONE Archives and the queer art scene in Los Angeles. I’ve never visited LA before, and I’m grateful to FRANK, OCA, and guesthaus residency for making this happen.